Hall of the Mountain King: Review: Stratovarius, "Polaris"
After taking a more mainstream approach to their last record (and catching some grief from fans), Finnish prog/power titans Stratovarius return to their old ways a bit on "Polaris." There have been a few shakeups within the band in the years since their last record, with the revolving door of musicians spinning once again and rumors of a break-up swirling at one point. Original guitarist and creative force Timo Tolkki is now gone, replaced by Matias Kupiainen, who joins long-time members Timo Kotipelto (vocals), Jens Johansson (keyboards) and Jorg Michael (drums). Kupiainen's chops are solid, and he fills Tolkki's shoes well, though I'm sure many long-time fans will be disappointed in the lineup change. 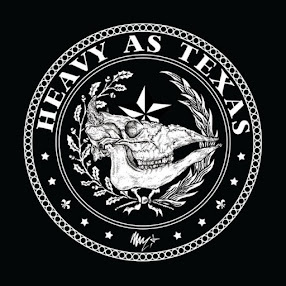 The sets a good tone early with the opener and first single "Deep Unknown," a brooding prog piece with all the usual flourishes of keyboard and guitar. That's followed by the catchy "Falling Star" and the spacey opening of "King of Nothing," which also features a nice marching guitar riff by Kupiainen. On the fourth track, "Blind," we finally get the blast of energy that I've been waiting for -- the blazing power metal influence that has made for some of the band's better moments over the years. "Higher We Go," which blends the faster pace on the chorus with a more restrained verse, is also a solid offering. Perhaps the crowning moment of the record, though, is the second high-speed track, "Forever is Today," where Kupiainen really gets to show his stuff. It's impossible not to crank this one up and hum along with the soaring chorus. It's just too upbeat and catchy to ignore, and it really serves as the climax of "Polaris." "Winter Skies" is another signature moment on the record, a slower tune that also manages to be sweeping and bombastic. The album builds well toward the two-part epic "Emancipation Suite," designed, it would seem, as a centerpiece of the record. The first part, subtitled "Dusk," opens with a nice heavy riff, but then turns very somber -- perhaps too somber, as I find myself waiting for that big exotic-sounding riff again during the verses. Part two, "Dawn" continues in that mood, and despite some solid lead work from Kupiainen, really drains a bit of the energy that has been built up. The record is capped off with the folk ballad "When Mountains Fall," which, as a fan of traditional instruments and music, I appreciate. I still find it an odd choice to close the record. After building to the crescendo of "Forever is Today," the album almost seems to run out of steam with the last four tracks, spiraling down into a more mellow and somber mood with each one, almost sapping the energy out of the listener. Perhaps that was the design, but it really leaves me wanting another big blast of power. 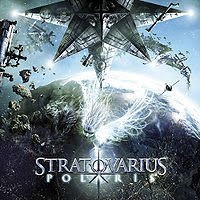 Still, "Polaris" sees Stratovarius moving back toward their progressive roots, and there are some very strong performances here. As expected, the musicianship is top-notch and the songs are polished and perfected. While the album won't surpass the band's early work, it's a solid addition to the catalog and fans should be pleased.